Our Stream to Sea program offers the following educational tools for teachers to use in their classrooms. Additional tools and print copies of these resources may be available if you contact us. For 20 years, teachers around the province have been raising salmon in the classroom and taking kids on field-trips to local streams. The good news is that the classroom resource that supports this program has undergone a complete revision. Organized around the salmon life cycle, each unit contains at least one strong science-based activity and many suggestions for language arts and fine arts. Assessment strategies are provided, including links to the Integrated Resource Packages. 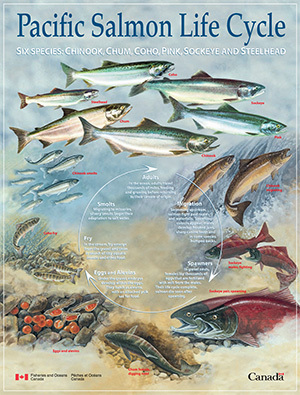 Includes a Life Cycle of the Pacific Salmon Poster. Published 2002. 152 pages. The original version of this resource was voted one of the BCTF's top ten lesson aids. The update is even better, based on focus groups with BC teachers and field-tested in BC and the Yukon. These revised science-based activities on the salmon life cycle can be integrated across the curriculum. The resource includes backgrounders, handouts on biology and habitat, extension activities and links to IRPs. Beautiful illustrations, student worksheets and a home connections section are included in each unit. Clearly organized to accommodate lesson planning. Published 2002. 245 pages. Nine short scripted dramatic pieces for students in the intermediate grades. The materials are intended to provide teachers with "launching pads" for initiating theme units involving such topics as stewardship, resource use conflicts, First Nations and fishing, and salmon enhancement. Suggestions for integration with Science, Social Studies and Language Arts are provided. Published 1993. 171 pages. In 1997, Fisheries and Oceans Canada undertook a review of existing marine conservation learning resources to determine if any met the key concepts identified as priority educational messages by the Department. The results of the review have been summarized in the Marine and Aquatic Educator's Resource Guide, as a service to teachers who are often seeking educational materials related to aquatic conservation. Published 2001. 49 pages. 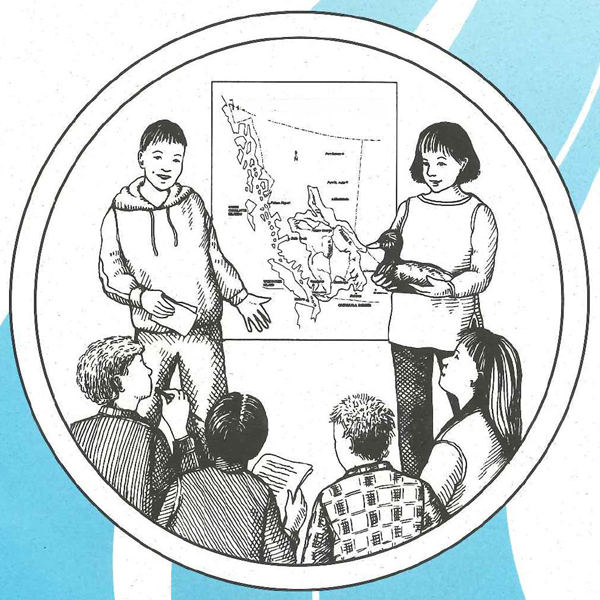 This learning resource includes a teacher's guide and thirty-three student booklets and is designed to teach decision-making skills especially as they relate to land-use conflict. Students participate in simulations, taking on the roles of people who represent different sectors or interest groups (forestry, settlement, tourism and recreation, fishing, agriculture, mining and conservation). Working together they plan the future land-use and water use in Pangea River Valley, a hypothetical area in British Columbia. All background information is based on accurate BC statistics. The package also includes short units on watersheds, plays and two short videos entitled "Snapshots" and "Connections". Published 1996. 850 pages. Using a jigsaw approach, this unit provides current information, maps and up-to-date field-tested teaching strategies to help students "piece together" various topics (biodiversity, river health, history, settlement, wildlife, mining, forestry, fishing, agriculture and tourism) to form a holistic picture of how the Fraser River is addressing the issue of sustainability. Published 1995. 136 pages. This package includes a 15 minute video, teacher and student background information, and pre-post classroom activity suggestions. The video provides an overview of the Fraser River Basin and the need to protect its valuable resources, as well as an introduction to some of the programs carried out by the federal government to improve the basin's health. Published 1994. Thousands of B.C. and Yukon school children are learning about salmonids in a hands-on way through Stream to Sea's classroom incubation program. Fisheries and Oceans Canada provides specially-equipped aquariums for classrooms studying Salmonids in the Classroom. These aquariums are stocked with salmonid eggs, which students care for and monitor until the fry are ready for release to a local creek. This fry release provides an excellent opportunity for a field trip. While it offers one of the most rewarding educational experiences when used in conjunction with Salmonids in the Classroom or a science unit, this program does require considerable teacher commitment and attendance at an in-service session. Supply of aquariums is limited and not all requests can be met in any given year. Contact your community advisor or education coordinator to inquire about the availability of this program in your community. No charge. 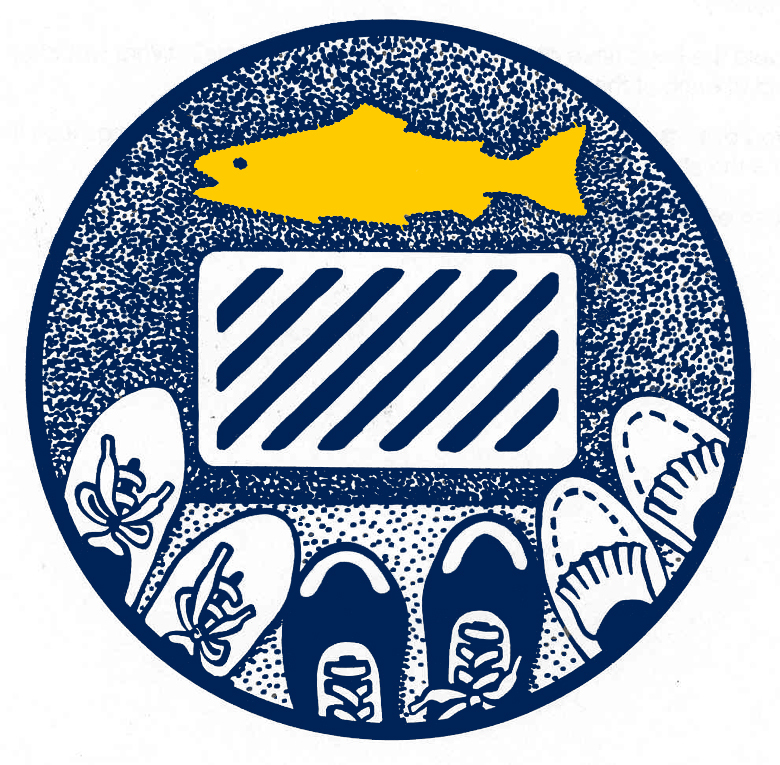 Carried out in urban areas under sponsorship of Fisheries and Oceans Canada this program gives children an active role in protecting their environment by marking storm drains with bright yellow fish and circulating information to advise residents that these drains empty into local creeks. A video (for children) and manual (for teachers or leaders) are available. This activity is suitable for children working in small groups and supervision is mandatory. For information on storm drain marking in your neighbourhood, contact your community advisor or education coordinator to obtain the necessary materials to conduct this activity. No charge. In-service sessions are conducted on a regular basis and can be initiated by the school district. Workshops on various topics run from one to three hours to whole day sessions and are held at the participants' convenience (after school, on weekends or on professional development days). Contact your community advisor or education coordinator to see what in-service sessions are available in your community. No charge. Stream to Sea staff worked with BC educators to design the following lesson plans in order to help educate K-12 students on the key concepts of "Aquatic ecosystems, sustainability and stewardship". Your local education coordinators may provide support for integrating Stream to Sea into student learning. Making a redd Science (3) A classroom experiment that explores how salmon protect their eggs. A teacher's resource for studying the biology, habitat and stewardship of pacific salmon. Antifreeze anti fish Drama (5) A short play that introduces students to the link between storm drains and natural water systems. A series of five classroom lessons introducing students to the natural history of killer whales, the threats they face, and personal actions that can be taken to help protect them. A classroom or outdoor activity linked to the Science Probe text that introduces students to the issues threatening coho habitat in the BC Interior's Fraser River watershed. Compose a stream song Music (6) An activity that familiarizes students with a streamside environment and encourages them to express themselves through song. Through class discussions, research, and activities, students in Grades 4 to 11 will learn about the ocean biome, hydrothermal vents, and more specifically about Canada’s Endeavour Hydrothermal vent site and it’s designation as a Marine Protected Area. The purpose of this activity is to create awareness about why harbour porpoise are considered a species of Special Concern in British Columbia. A lesson plan about marine nearshores and some of their inhabitants. British Columbia species: Native, introduced or invasive? The goal of this activity is to have students consider the importance of biodiversity. University of British Columbia professor characterizes biodiversity as the "necessary, precondition for the long-term maintenance of the biological resources upon which humans depend". Students do this by becoming acquainted with the concepts of native, introduced and invasive and then playing a game of tag that shows how one of four known pairs of stickleback species pairs in B.C. went extinct. A series of three classroom lessons introducing students to British Columbia's "Dinosaurs of the Deep", their incredible long history and adaptations, and the current threats to their continued existence. An exercise in consensus decision-making through role playing that enables students to devise a solution for managing dwindling Sakinaw sockeye salmon stocks. Ecological footprint - How does the way we live affect earth? A classroom activity and discussion using a measurement tool that allows students to calculate and consider the effects of their personal resource use. Fisheries careers for First Nations Planning (10) An exploration of traditional and modern fisheries stewardship, related careers and how to direct a career path toward these jobs. In the first lesson students learn about the Northern Abalone. The Northern Abalone is the first marine invertebrate to be designated at risk by COSEWIC (Committee on the Status of Endangered Wildlife in Canada).